Phonographic Copyright (p) – Sheridan Square Entertainment, Inc. Licensed From – Sheridan Square Entertainment, Inc.
20 Bit Digital Recording, Edited and Mastered via 32 Bit Digital Sound Processing. Recorded in high definition and playable on all CD players. 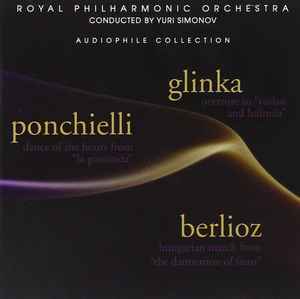 On spines only Glinka, Ponchielli and Verdi are mentioned as composers.